Morse Contracting is a full service general contracting company specializing in custom homes. Founded in 2008, Morse Contracting has grown into an important custom residential and commercial building firm in the Annapolis, Maryland area. We aim to satisfy any customer’s plan and have experience with traditional wood frame homes, modular construction homes, waterfront home requirements, historical zoning and state and local regulations. Owner Randy Morse is a life-long resident of Annapolis, MD and believes in a hands-on and face-to-face business philosophy. We work with clients to develop an optimal plan that satisfies the homeowners expectations and budget, assist in selecting an architect that best matches the client’s goals, outline the building permits process, ensure transparency about scheduling and project management, and assure the homeowner that Randy will be directly involved in all phases of the project from start to finish. Please visit our comprehensive website at www.MorseCustomBuilders.Com to learn more about our business. We look forward to speaking with you and would love the opportunity to help transform your dream project into a reality. Goodier Builders is the premier homebuilder in the Baltimore-Washington DC metropolitan area. Our focus is on providing an outstanding customer experience and a quality product at a value to the homeowner. We have the proven ability to deliver a custom product that meets the specific and unique needs of each homeowner. With our skilled custom building team, we create an unrivaled experience for the customer as we guide them through the selection and building process, step by step, ensuring their involvement and comfort level throughout. Goodier Builders has built homes ranging from $500,000 to over $5,000,000 and is happy to meet with all potential homeowners considering a custom build to determine if building a custom home is a good decision. We have a portfolio of plans for that can be modified, or we can develop a new plan to fit the desires of the customer. Customers can come to us to build on a lot they currently own, or we can help find a home site for their dream home. Regardless of the size or price of the home, Goodier Builders provides a comfortable buying and building experience for all of our homeowners. Design and Build your dream home with Ten Oaks Homes! 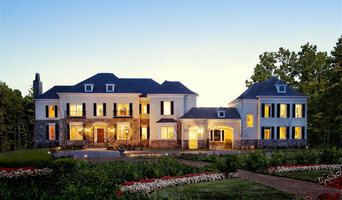 Ten Oaks Homes is the only luxury custom home builder in Harford County that develops their own communities. Visit our website or contact us to learn about our current communities. The founding partners – Dan Whitehurst, Fred Sheckells, and Josh Dresher – have complementary skill sets, strong industry ties, and a passion for design that positions Ten Oaks Homes as one the premier custom home builders in Maryland. For Baltimore residential home builders who also act as developers, the job starts well before the first nail is driven. They perform local market research to determine whether the prospective homesites make sense in the Baltimore, MD market, as well as survey the land on which the house will be built to make sure it is suitable for construction. Custom builders also obtain the necessary permits. 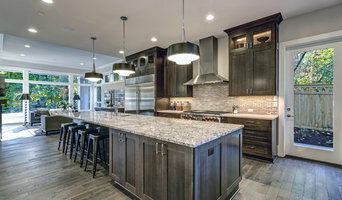 A good custom home builder in Baltimore, MD has skills that go far beyond construction — he or she must supervise subcontractors and artisans; keep tabs on local zoning regulations, building codes and other legalities; inspect work for problems along the way; and perform dozens of other roles that are essential in building a quality house. Here are some related professionals and vendors to complement the work of home builders: Interior Designers & Decorators, Landscape Architects & Landscape Designers, Architects & Building Designers, Kitchen & Bath Designers, Specialty Contractors. House builders are responsible for ensuring that the home-building project sticks as closely as possible to the specified timetable, particularly in the event of change orders. Custom and luxury home builders in Baltimore, MD also need interpersonal skills to deal with clients of all types, soothe frazzled nerves, negotiate conflicts and resolve problems. 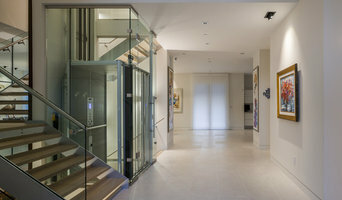 Find custom home builders in Baltimore, MD on Houzz. 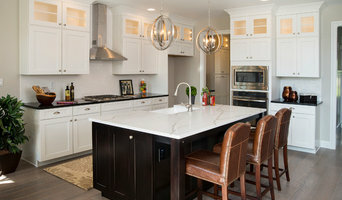 Narrow your search in the Professionals section of the website to Baltimore, MD home builders. You can also look through Baltimore, MD photos to find a house you like, then contact the builder who worked on it.